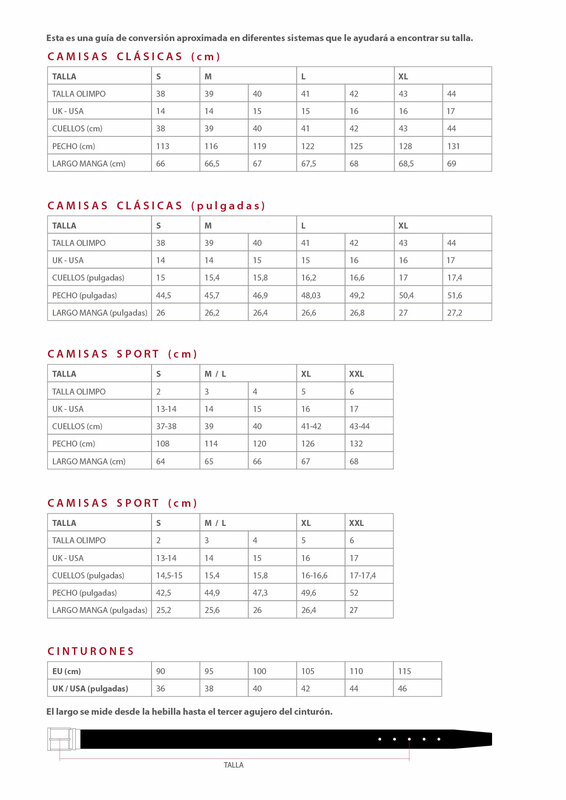 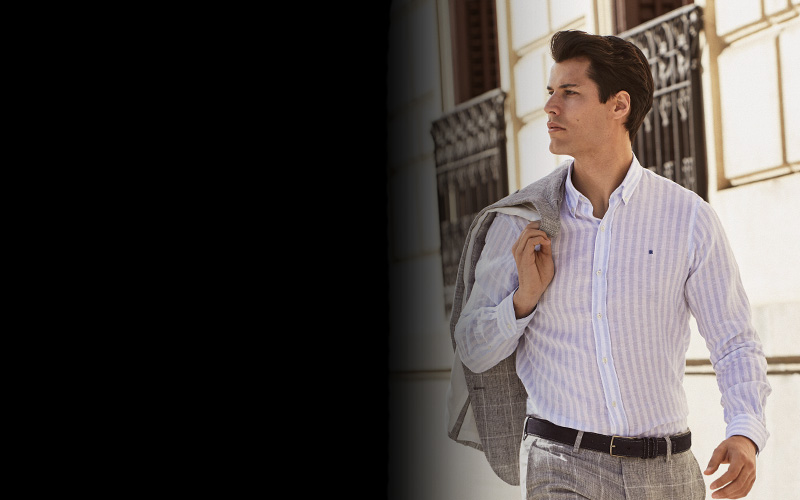 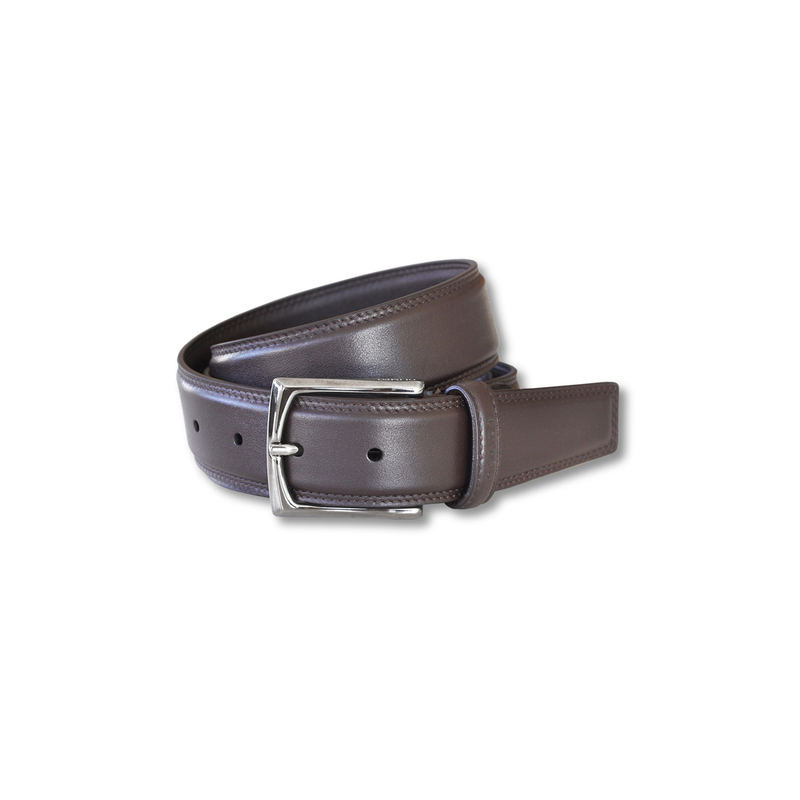 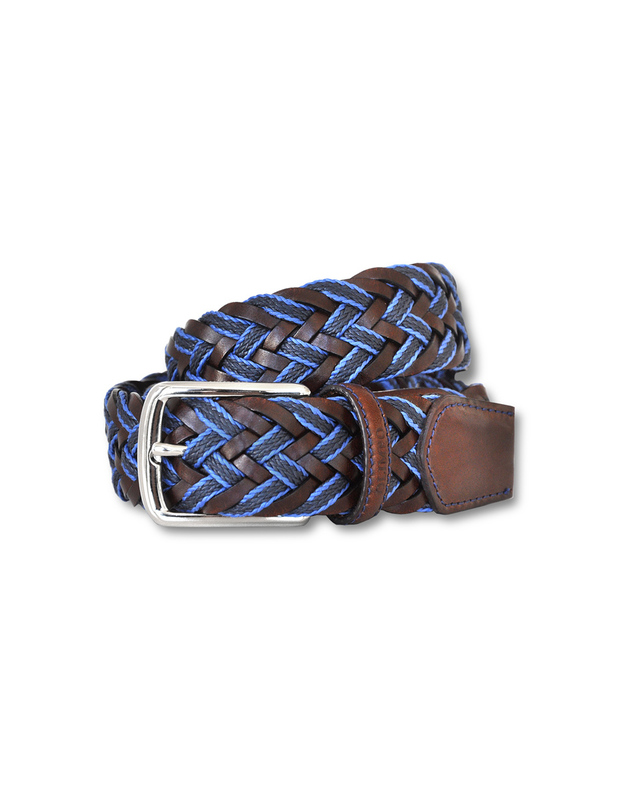 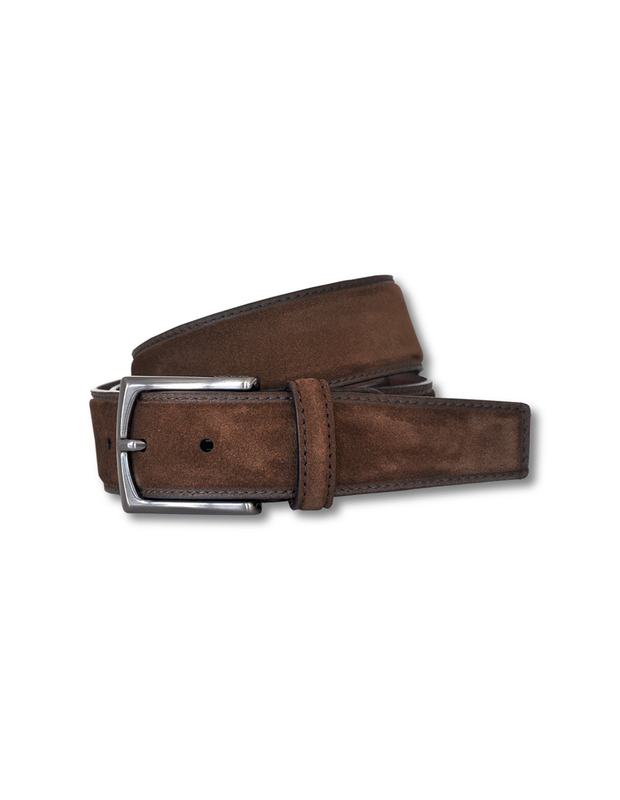 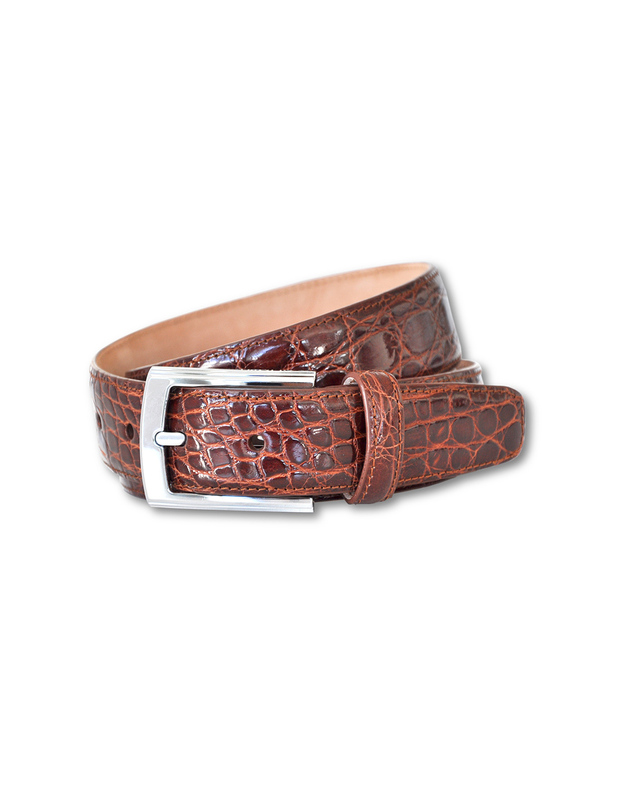 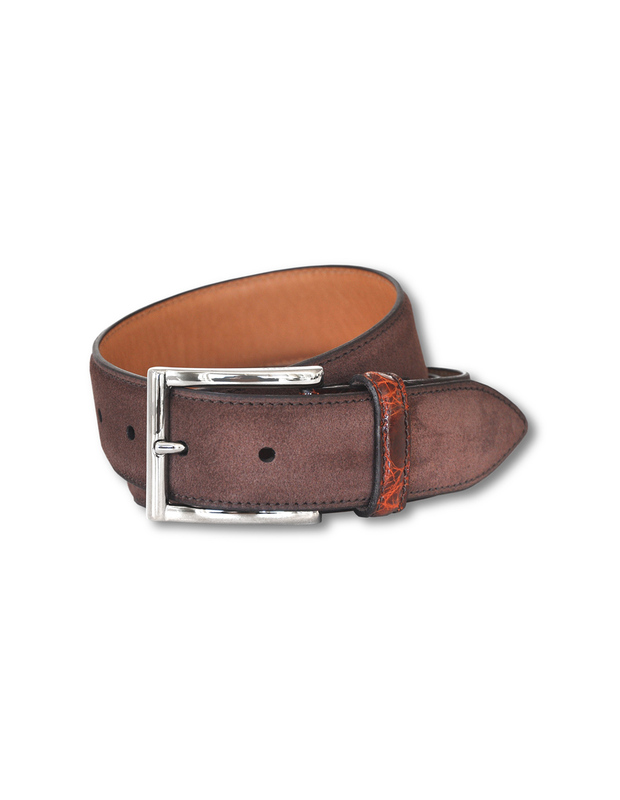 Leather belt combines with rayon to form a braided design. 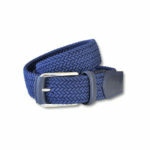 The elastic feature is especially useful while eating. 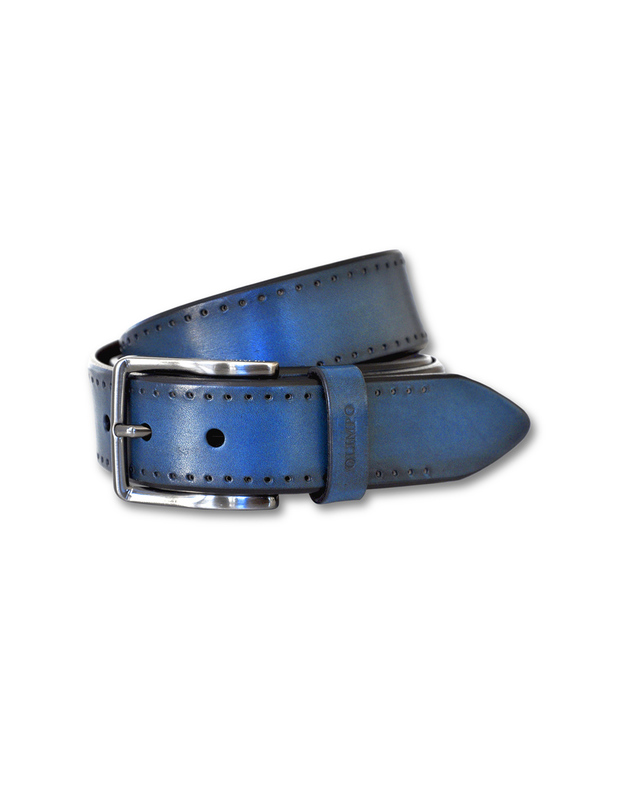 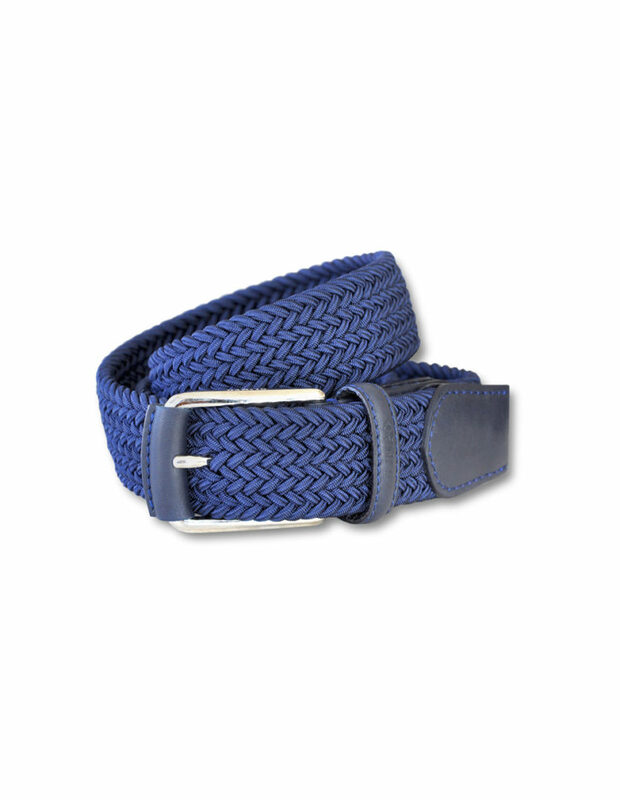 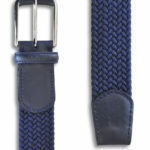 Timeless belt made of leather and rayon in navy blue. 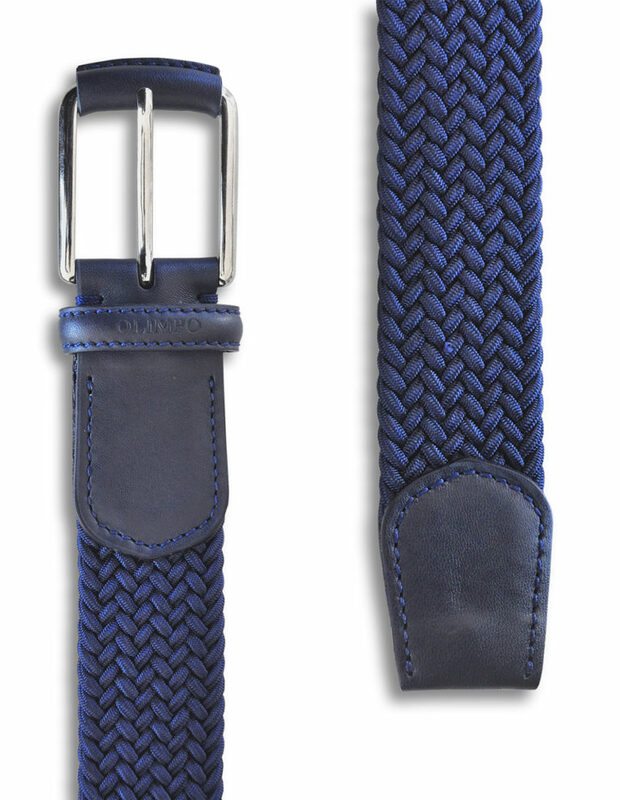 The elasticity makes it easy to fasten the buckle onto the braid.